Copyright © Pedro Alves - This image is copyrighted. Unauthorized reproduction prohibited. 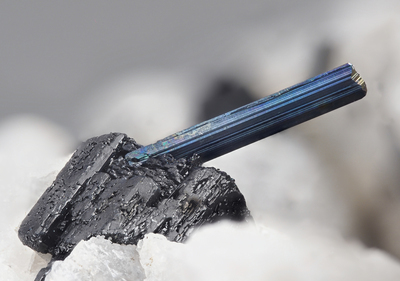 Elongated aenigmatite crystal on black ferro-katophorite.